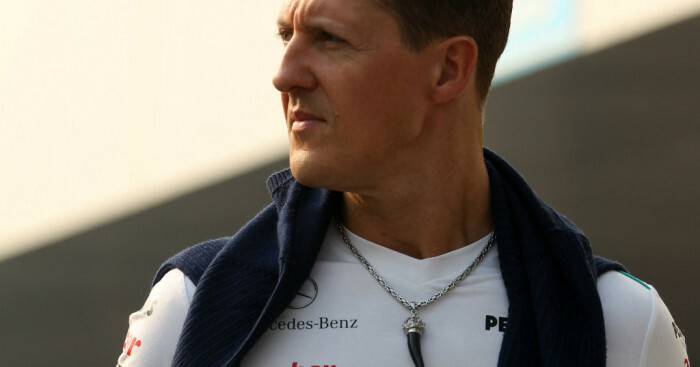 Michael Schumacher is “making progress” in his recovery from the injuries he sustained last year, but he still faces a “long, hard fight”, according to his manager. Monday marks exactly a year since the seven-time Formula 1 World Champion suffered severe head injuries during a skiing accident in the French Alps. He spent six months in a medically induced coma before being brought out of it in June. After several months in hospital, he was finally moved to his home in Geneva, Switzerland, where he continues his rehabilitation. His family and manager have kept updates about his condition pretty brief, but his long-time manager Sabine Kehm gave a brief a statement on Sunday. “We need a long time. It’s going to be a long time and a hard fight,” she told news agency Reuters. Kehm’s views are in contrast to those of former Formula 1 driver Philippe Streiff, who told the Le Parisien newspaper that the German is able to recognise his wife and two children. “He hasn’t yet recovered the power of speech, and communicates with his eyes. Nevertheless he is beginning to recognise his family, his wife and his children, but has big memory problems,” Streiff, who is in a wheelchair following an accident in 1989, said. Streiff has previously claimed that he is a close friend of Schumacher, but Kehm dismissed his latest comments.